I’ve come to love coconut flour for its flavor. I’ve been craving something coconut-y… but I also wanted to use some more Arctic Zero as a topping. 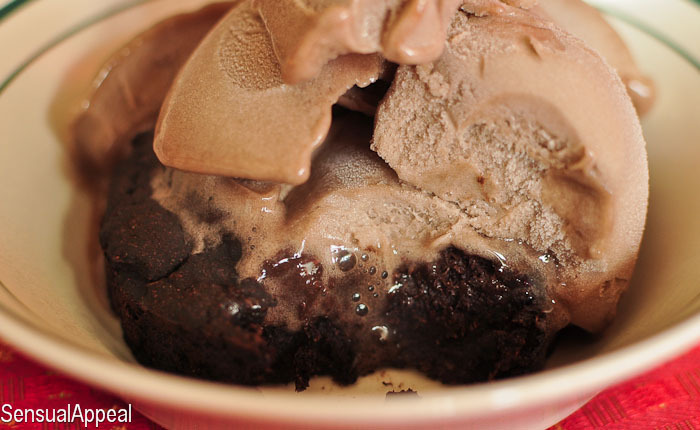 A combination of ice cream and cake is perfect. Obviously. You would never guess this beautiful dessert is healthy. 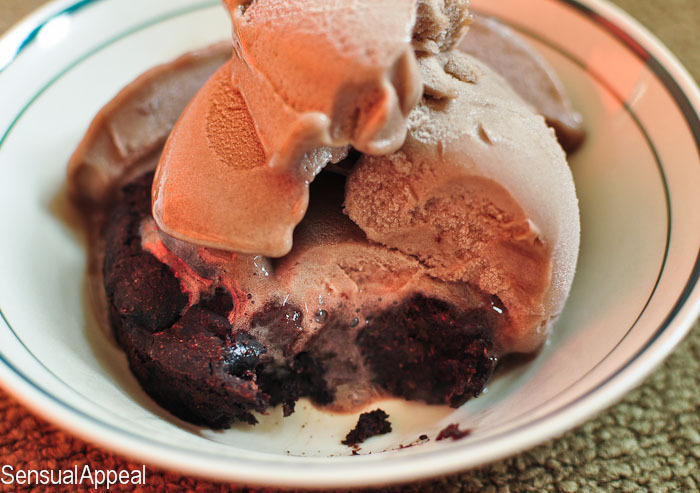 And the whole thing (WITH the ice cream) is under 250 calories. That’s the beauty of healthy baking. And the beauty of Arctic Zero ice cream which you can try to win if you enter in my giveaway. It’s worth it. Here’s how it looks like straight out of the oven. Looks dry but it is anything BUT. 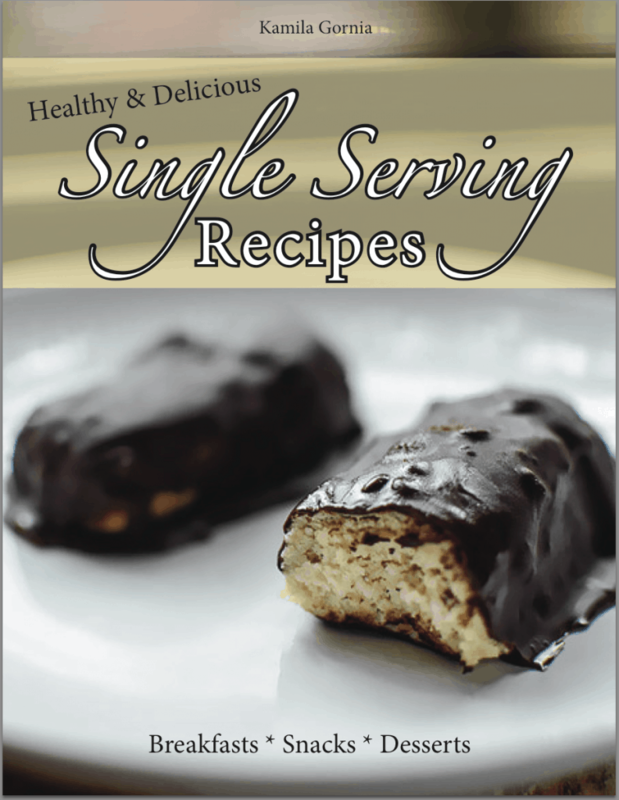 For this and many more single serving recipes, check out my eBook Delicious & Healthy: Single Serving Recipes! Have you ever used coconut flour in baking? 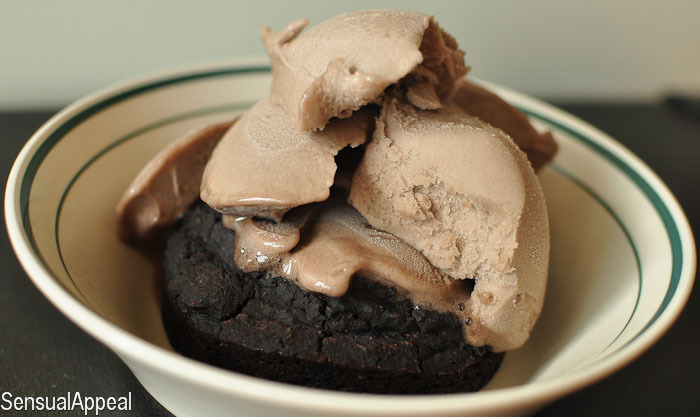 What’s are your favorite brownie add-ins? Oh my gosh, oh my gosh, OH MY GOSH. I need AZ ice cream and I need to make that sundae!!! I can’t believe something this yummy could be so low in calories! Beautiful! Just the way a dessert should be of course. I love making single serving desserts – it’s a great way to “test” out some recipes on myself before presenting them to others. And no sharing needed 🙂 Happy Friday! Wow! Yum! Just hopped over from the Farmgirl Friday blog hop. Happy Friday! Thank you! Happy Friday to you too, Mary! Wow, I’m impressed! 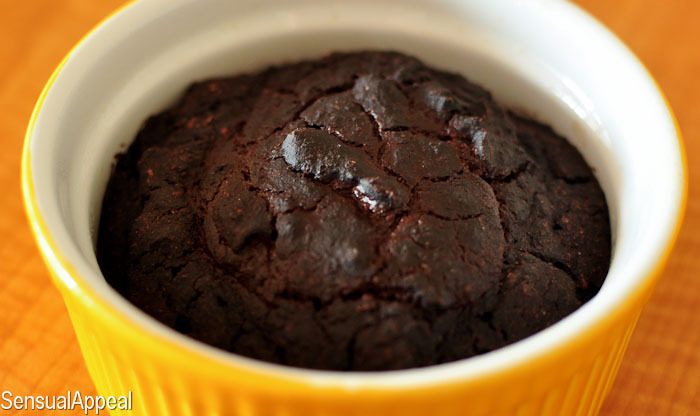 A moi-…ugh, I just can’t do it…A NOT DRY brownie without an egg?! Crazy talk! I’m gonna have to make this just because I’m in disbelief! Just need to get my hands on some of that special dark…I hear it’s SO much better than regular cocoa powder! It really, really is. You MUST try it! 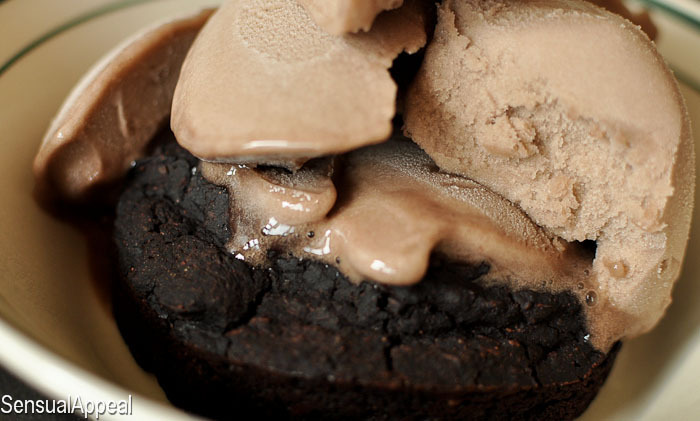 This looks like an amazing chocolate indulgence – hard to believe it is low calorie. Congratualations on creating it. And thanks for posting on Wellness Weekend where I discovered it. Thank you Amee! Let me know how you like it when you try it out 🙂 and I definitely will be back friday!